Ooh, I like all the red on the cover. It’s my favorite color! I saw the Smashwords blog, and I quickly scanned the list to see if you were still on there. That was so cool to see TWO of your books on there! Love it!!! Can’t wait. Just finished the Curse serious and in serious need of some Ava Delaney! Thanks. 🙂 Hopefully, you won’t be waiting too long! I can’t wait to read this one. I like that she is facing us with full view of her face in this cover. Each cover reveals more and more of her to the reader. The cover of Thirst is so pretty and she looks so innocent yet mysterious. Here she looks fierce and ready to take on whatever comes her way but at the same time down to earth with her ripped jeans, tank and kicks. Makes me feel like I can take over the world in my skinny jeans! Okay, I love you for getting it. Lol. The covers are very meaningful to me. I’m going to have the first three redone, but still use the same image from Thirst, and probably Taunt. I feel like each cover tells a bit about how Ava is during that story, because each story is a different stage of the journey. The first three books are all about changes to her life, but the next three are about her shaping the world around her, so that’s why the covers change. Anyway… Lol. I love the cover for Thirst it was one of the reasons I chose the book. Your right covers are meaningful and its great the way Ava evolves on each cover its like watching her grow and its always good to have an image in your head when your reading about the character. Love the books, even if I’m in the middle of another book I put it down when the new Ava’s come out. Thanks so much, Emma! I’ve had fun thinking of ideas for covers for the last few books. 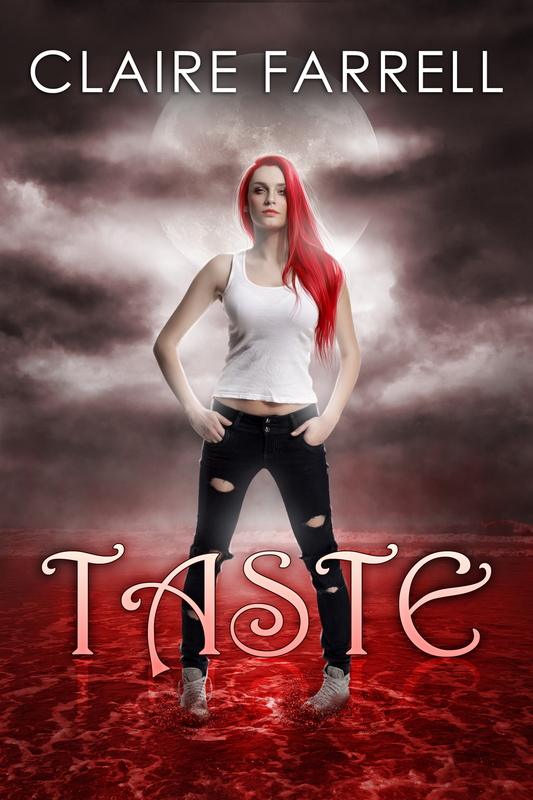 Taste’s basic idea was Ava and a sea of blood, and her facing up to what she has to do next. I love this cover. Her hair and eyes are exactly the way I imagine it. Only one issue though… Where’s her scars? She should have scars on her arms from the fae deal and on her neck. Loving these stories keep up the good work!! I’m a little sad about that, but it probably wouldn’t have looked the way I imagined on that sort of image.